From understanding quirky personal traits to finding out risk for disease, your unique genetic code holds clues to your health and wellness. The Smithsonian Institute exhibit, "Genome: Unlocking Life’s Code," on display in Rochester, can help you make sense of the A, C, T, and G’s that make up the DNA you inherited. Mayo Clinic Center for Individualized Medicine is sponsoring the interactive exhibit that explores the complete set of genetic or hereditary material within your body — and chronicles breakthroughs since the completion of the Human Genome Project more than a decade ago. 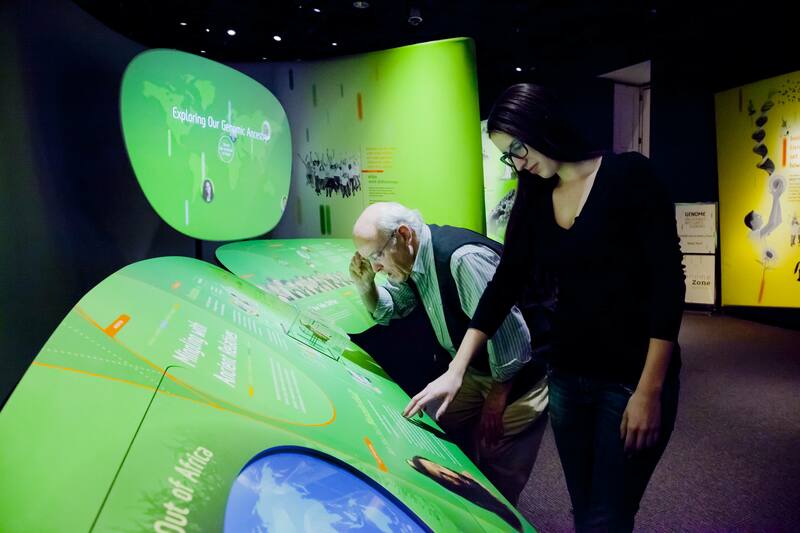 If you haven’t had a chance to visit the Genome Exhibit at the Rochester Arts Center, you can catch a video walk-through featured recently on KSMQ Public Television. The exhibit opened on June 23 at the Rochester Art Center, 40 Civic Center Drive SE in Rochester and will be in town through Sept. 21.